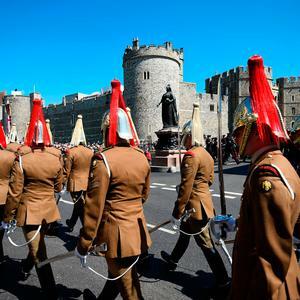 Dress rehearsals are underway in London as the city prepares for the wedding of Britain's Prince Harry to his US actress fiancé Meghan Markle this Saturday. 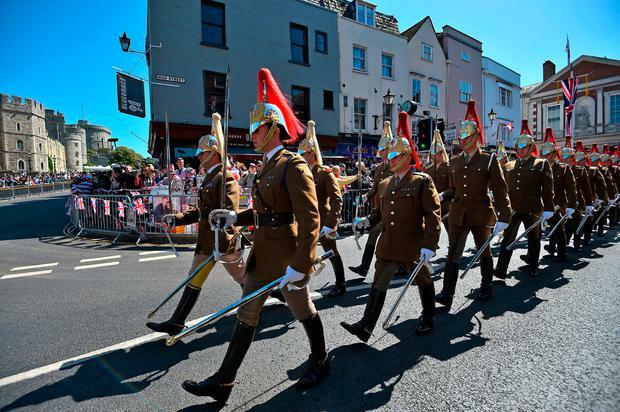 Members of the country's Armed Forces took to the streets around Windsor to stage the procession that is to take place on the area known as 'The Long Walk' after the couple exchange vows at St George's Chapel at lunchtime. 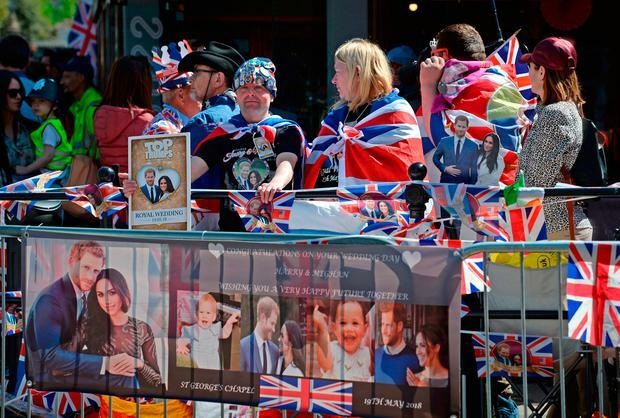 Bride and groom-to-be Meghan and Harry have also been spotted arriving at Windsor Castle, as royal watchers gather along the streets clad in flags and items of clothing bearing the happy couple's image. Earlier today, bride-to-be Meghan Markle released a statement confirming that her father would not be present on the day of the wedding after he reportedly fell ill and needed heart surgery. The former Suits star said in her statement that she has 'always cared for' her father, and hoped he would have the 'space he needs to focus on his health'. It is widely speculated that the bride's mother, Doria, will now take on the duty of walking her daughter up the aisle on the day. The wedding is due to take place at midday on Saturday May 19th and will be broadcast live around the world. Singer Elton John is expected to perform at the big day, which will see a host of celebrities attending, as well as members of the public. The couple will stage a procession after the ceremony, before they attend a lunch reception hosted by the queen. 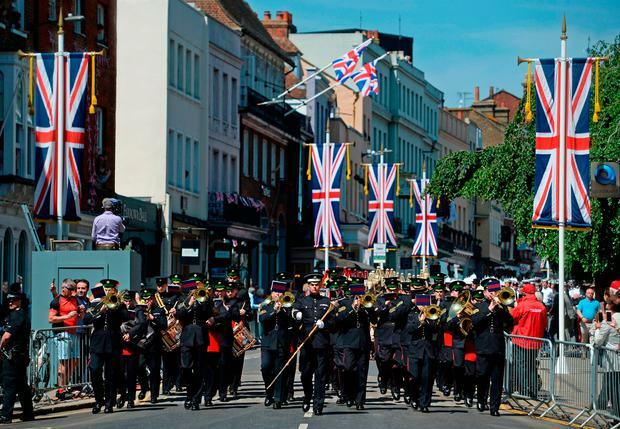 A more informal reception will take place in Frogmore House on Saturday evening, where guests will be treated to canapes and a 'festival style' atmosphere.